Sennheiser Momentum In-earphones are available in two versions so both iPhone iOS users and Android users alike can enjoy the sleek, elegant design and high-quality sound provided which is simply, universally, tail-waggingly good! In keeping with their previous Momentum headphone models, Sennheiser delivers well on performance and the red/chrome or black/chrome makes a reappearance in the Momentum in-earphones. 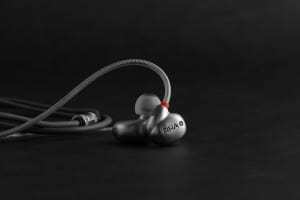 Let’s get to the Sennheiser Momentum In-Ear Review. The stylish, active design features incorporated in the red and black detailing include subtle metallic shading and a glossy texture giving it both a sporty and sophisticated look. Sennheiser have also paid as much attention to the packaging as it has done to the design of the earphones themselves. Opened up, you get a selection of four varying sized earbuds, sturdy L-shaped plug and inline remote, all neatly packaged. 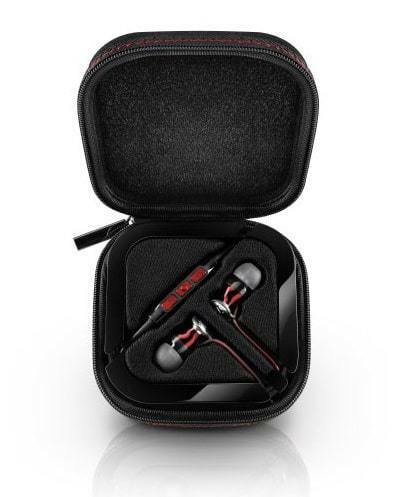 Inside the Sennheiser Momentum in-ear box there is also a tough and semi-hardened carry case coated with smooth fabric and red stitching. Attached to the earphones, there is a flat and tangle-free cable, so designed to avoid snarling and knotting. 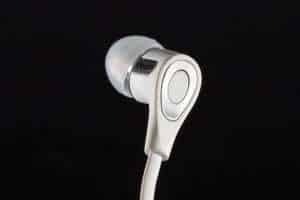 There is an inline control on the cable which reaches up to the right earphone for hands-free calling and it also has an adjustable stopper to help keep the cables tidy. In terms of sound performance, this is where Sennheiser have departed from the traditional consumer-oriented sound signatures and have opted for a recessed midrange. Superior to the typical Momentum line, the Sennheiser Momentum In-Ear headphones deliver a punchy and skull-shaking bass and a clean and crisp high treble, but for some people the midrange might lack a little of the fullness they prefer though this is obviously personal choice. 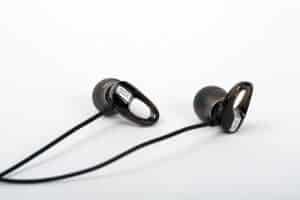 Another great option in this in-the-ear mid range is the Sony XBA H1 review.